River Rat has of course to work around the tides, however Mother Nature's twist can be your advantage. 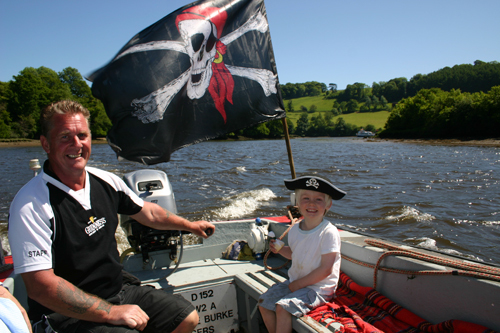 While River Rat is dropping a party at Dartmouth or Totnes and waits to collect them at the end of their trip, River Rat can be at the disposal of another party perhaps putting a trip within your budget. To make your holiday that extra special.